Backed by a trusted global partnership legacy with numerous mining companies, Juffern AG's experience in mining solutions translates into the highest levels of service and support for customers around the globe. 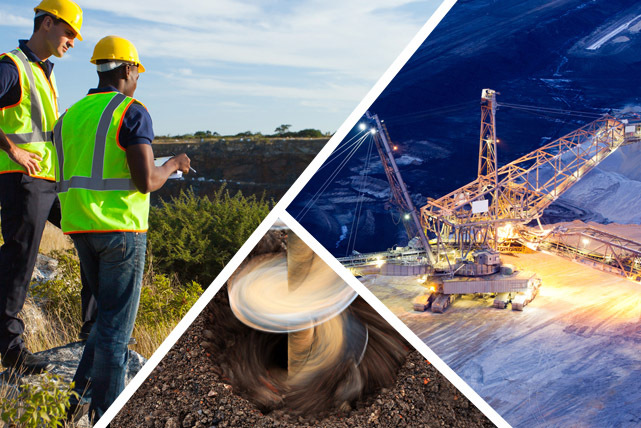 Irrespective of the material being mined or the geographic location, Juffern AG's offers sustainable solutions based on its's extensive experience with mining applications. Our broad know-how encompasses all stages, from design to specification, installation and the implementation of mining systems. Juffern AG is equipped to provide robust and reliable systems that function even in hostile environments and withstand the heat, shocks, dust, and vibration typical of mining applications. Juffern AG is committed to plan all processes necessary to improve your infrastructure as simple as possible and in such a way, that no downtime is necessary. Our goal is to provide the highest possible process quality.